Softaculous is a great Auto Installer having 450 great scripts, 1115 PHP Classes and we are still adding more. Softaculous is ideal for Web Hosting companies and it could give a significant boost to your sales. These scripts cover most of the uses a customer could ever have. We have covered a wide array of Categories so that everyone could find the required script one would need to power their Web Site. Softaculous is a really FAST Auto Installer. A user can install scripts in just ONE STEP. Softaculous can install any of its 450 scripts in just one step. So the user does not have to go through the process of Individual Script installers. Everything from copying the files to creating a Database is done by Softaculous. A user can just sit back and relax! Softaculous maintains the Demos of all scripts that it can Install. We know choosing the right piece of software is very important for web hosting customers and how can one choose without ever trying the DEMO! So, to make things simpler, Softaculous maintains Scripts demos so that users can browse through the scripts and then choose the right script for themselves. Softaculous also maintains Ratings and Reviews of Scripts. Users who have used the scripts can write reviews of the scripts and can also rate the scripts they like the best. So other users will be able to choose their required software all the more easier as they can see the Ratings, Reviews and Demos. Softaculous brings the best of all scripts to the users. Softaculous gives much faster updates of the scripts it maintains. At Softaculous, we understand that an Update mean a much more secure script and better safety of the server. Also, users benefit from the new features available in newer versions of scripts. We always try our best to make available the Updates ASAP! 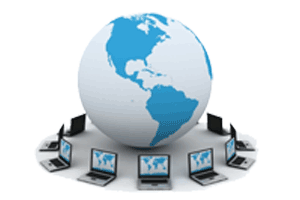 Millions of users around the world use Softaculous to install and upgrade web applications. Be a part of the revolution and offer Softaculous to your hosting customers. You can also get a One Month Trial License from. Focus on using apps rather than spending time on installing them. Softaculous works on many Web Hosting Control Panels i.e. cPanel, DirectAdmin, Plesk, H-Sphere, ISP System, Interworx, CentOS WebPanel and Hosting Controller. Its very easy to integrate. Automated Web Application Installations for Web Hosts using their own Custom Panel over NFS. Install Web Applications ON-THE-GO. 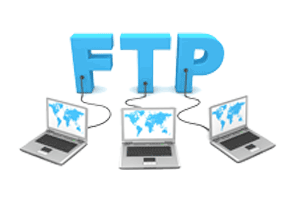 Using FTP protocol Softaculous will install Web Application on your Website.Its as Easy as Pie. Please see detailed Comparison of Softaculous and other auto installers. You can install Softaculous in just seconds. Download the Softaculous Installer and read the Installation Guide to start right away. Also please do read what our users have to say. Experience the magic of installing 450 Scripts within seconds. Use the free trial to experience Softaculous and get a chance to install scripts like WordPress, Joomla, SMF, Drupal, Dolphin, PrestaShop and many more through Softaculous.